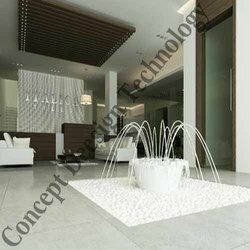 We are manufacturers and suppliers of a wide range of Water Jet Fountains, which is made using best grade raw materials. 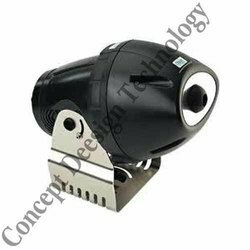 These are available in various designs and extensively used to create amazing view at different trade shows, exhibitions, amusement parks and many others. We offer our range in various sizes, shapes, designs and fascinating colors that meet the individual requirement of clients. Dim 220mm dia x 415mm ht. 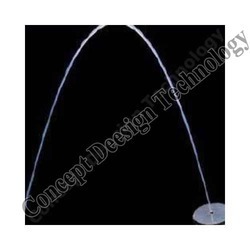 Our organization specializes in manufacturing and supplying a superior range of Jumping Jet New Model. It can be used for the both indoor & outdoor purposes. This range is available in different designs, sizes and shapes, which can be customized as per the requirement of clients. These are highly appreciated by our clients for the exclusive designs, durability and smooth functionality characteristics. Function: When operating the rainbow star, water can splash, particularly with water jets that are shot quickly in succession - the amount is approx. 1/2 a gallon per hour - the amount of splash water is negligible if the water jet is operated as a full, continuous parabola. The water has to be clean in order to transport light through the water jet. Only then the target point can be illuminated by the parabola. We are distinguished manufacturers and suppliers of a superior range of Jumping Jet Water Fountain. Our range is extensively used to create wonderful view at different trade shows, exhibitions, amusement parks and many others. We also provide our range in different specifications, which can be customized as per the requirement of clients. Our clients can avail our range at competitive prices. We offer an exclusive range of Jumping Jet Fountains, which is based on advanced programmable technology that facilitates these fountains to provide diverse patterns of jets at pre-set time intervals. These are widely used at children parks, water park, shopping malls and hotel lobbies to give marvelous star attraction. Further, our range can be customized as per the requirement of clients. Looking for Jumping Jet Fountain ?